When innocent bystanders are injured or killed in police shootings, there are often allegations of excessive force or police misconduct. Cities across the country are facing lawsuits by injured victims and families of loved ones who were mistakenly killed in police shootings. Police Shootings: Mistaken Identity or Excessive Force? 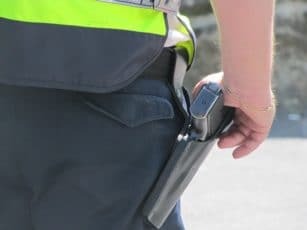 In recent years, there have been a number of civilians caught in the crossfire of police bullets due to mistaken identity or accidental shootings. As a result, many innocent bystanders have been seriously injured or killed by police bullets. Chicago has seen a string of multi-million-dollar lawsuits filed by victims caught in the crossfire in the past few years. One such case involves a 55-year old grandmother who was killed by a police officer’s bullet intended for another person. The police officer fired eight shots at a suspect and one bullet hit the woman in the chest. In another incident, an innocent bystander was killed just one month after an unarmed black teenager was shot 16 times by police. Last year, a federal jury ordered the city to pay $44.7 million to a man who was shot in the head and left permanently disabled by a Chicago police officer. Many Chicago injury and wrongful death lawsuits allege police misconduct or excessive force. In New York, NYPD officers injured nine innocent bystanders at the Empire State Building when they opened fire on a criminal suspect with a gun. Some of the injury victims filed lawsuits against New York City, but the city has not offered any settlements. According to the New York Times, the state’s highest court supports police officers’ rights to make split-second decisions that may include the use of deadly force. When police shootings occur and innocent people are injured or killed, the court assumes that such collateral damage is unavoidable. In the last two years, 16 people have been injured in NYPD crossfire incidents. Recently, the city paid out a $22,500 settlement to a self-described activist who was arrested when she criticized the NYPD stop and frisk program in front of several police officers. She insisted that she obeyed all police commands, but was arrested and charged with disorderly conduct. Unfortunately, nightly newscasts are filled with reports on police shootings that injure innocent victims who often allege police brutality, misconduct, and the use of deadly force. Without prevention solutions, many more innocent bystanders are likely to suffer serious injuries and fatalities from police shootings and stray bullets.